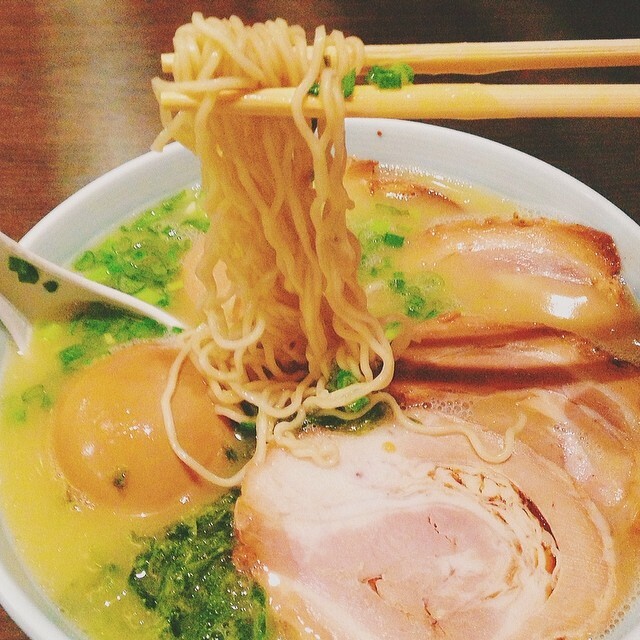 Ramen is probably the ultimate Japanese comfort food that Singaporeans know and love. This piping hot bowl of noodles in a thick umami packed broth is sure to warm you up. You can often find the best ramen spots in the most inconspicuous of places. These cosy hole-in-the-wall joints will give you an authentic ramen experience. Also, be sure to slurp the noodles loudly to send your compliments to the chef. Pretty obnoxious elsewhere, but it is completely acceptable and a sign that you are enjoying your bowl of ramen. With so many ramen joints popping up, here is a list of the 14 best slurp-worthy ramen in town, in no particular order. Affectionately known as the “basketball ramen” because of the logo, Marutama Ramen serves up chicken broth instead of the usual pork-based one. Chicken as a base isn’t as popular but Marutama has managed to convert many, having opened three outlets in Singapore. Chicken isn’t usually as flavourful as pork, but at Marutama they do it right. The chicken broth is equal to a tonkotsu broth in terms of hearty flavour, in my opinion. There have been divided opinions about Marutama’s ramen but I love it (it’s also Seth’s favourite ramen in Singapore). There are only a handful of variations on the menu, but frankly I don’t think they need any more. It’s a change from the pork-based ramen but equally satisfying and delicious. 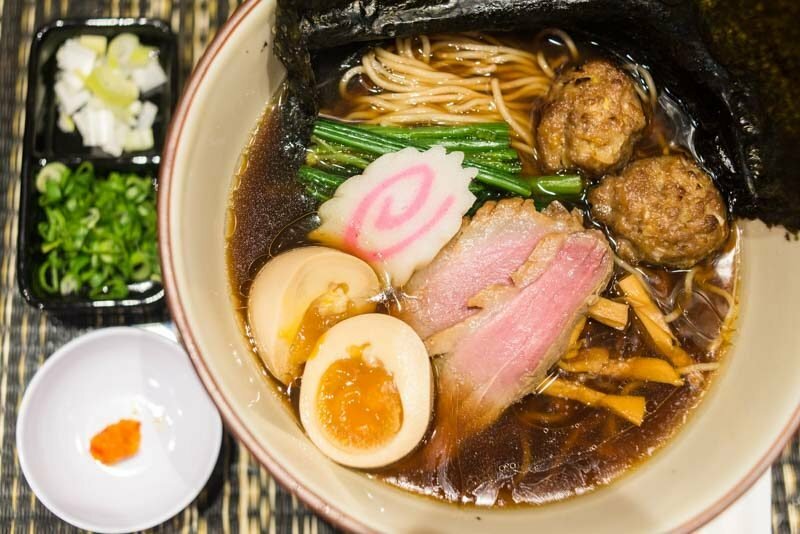 From the ingredients imported from Niigata, Japan to the specially made ramen bowls to keep the ramen warm, Sanpoutei Ramen takes care of all the details. The ramen noodles are handmade daily to ensure maximum freshness and springiness of the noodles. The house special is the Niigata Shoyu Ramen, with a clear fish broth instead of the usual pork bone broth. 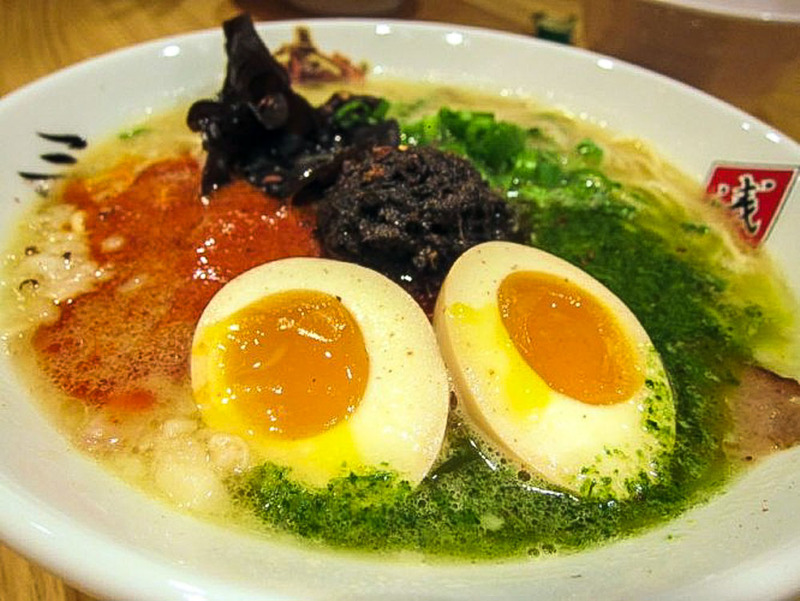 The fish stock gives the ramen a more refined taste, and sets Sanpoutei Ramen apart from all the other joints. It’s taken seven years for Ramen Nagi to open an outlet in Singapore, but this famed ramen chain from Fukuoka definitely does not disappoint. I particularly enjoyed the Black King ($15.90) with its peppery, garlicky goodness. Darkened with black garlic and squid ink, the black ball of meat adds stronger flavours and a hint of sweetness when you break it up and mix it into the soup . Ramen Keisuke is a big player in the ramen game, with different outlets specialising in specific types of ramen, all of which are popular. 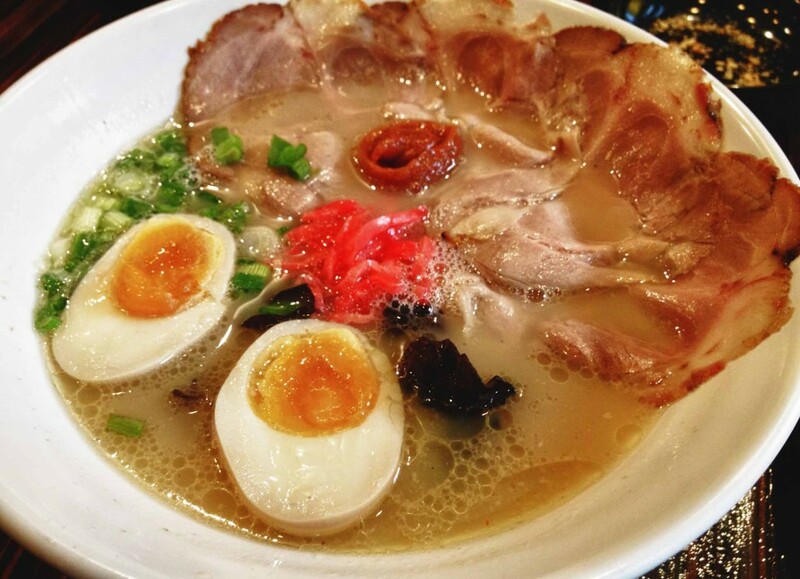 Tonkotsu broth is considered to be the preferred ramen broth of Singaporeans and Ramen Keisuke Tonkotsu King is what many, including Seth, consider to be the best tonkotsu ramen in Singapore. Along the corner of Orchid Hotel, you can always expect to see a queue outside this tiny ramen joint which seats only about 20 people. The tonkotsu broth is boiled for hours to achieve a milky and flavourful broth that’s good to the last drop, and worth the queue. Ramen Santouka is a wildly popular ramen brand with outlets all over the world. Famed for its toroniku (pork cheek) ramen, limited portions are available daily so you might want to call and reserve a portion. The melt-in-your-mouth pork cheeks had a perfect balance of fat and lean meat, which soaks up all the spices and flavours it was braised in. The noodles here are on the thinner side too, so if you’re into mee kia you would enjoy this. Santouka also uses kurobuta, the more premium and flavourful black pig, Trust me, there really is a difference in the quality of normal pork versus black pork. I guess this is what sets this place apart from the rest. They do an exceptional shio ramen too, although it’s not as popular as tonkotsu ramen amongst Singaporeans. 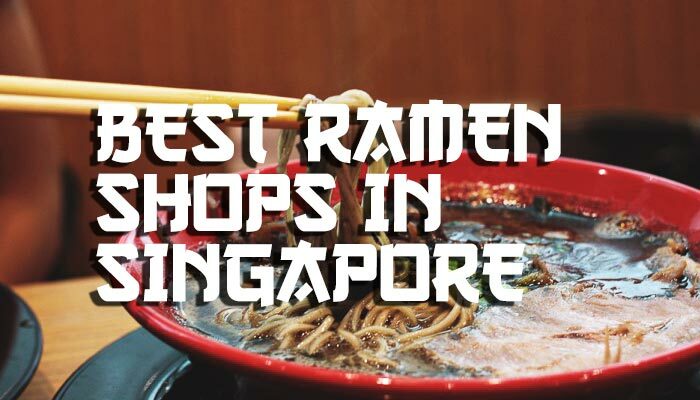 Started in Fukuoka in 1953, this popular ramen chain set up its first international branch in Singapore and has been well-received here too. The noodles from Uma Uma Ramen are homemade and are slightly thinner than the thick yellow ones you might be used to, giving them more of a bite. Besides the obvious favourite order being the Uma Uma Ramen, they also make a mean Cha Siu with Rice. The Mazesoba with Cha Siu is a dry ramen that’sa change from the usual bowl of noodles in soup. Hidden in an old shopping mall, Ramen Bari Uma is often overlooked by passers-by and is one of the more underrated ramen places. But those in the know come back time and time again for its authentic bowls of ramen. Served with a tonkotsu shoyu broth and thin hakata style noodles, Ramen Bari Uma definitely qualifies as one of the best ramen shops in Singapore, albeit very underrated. 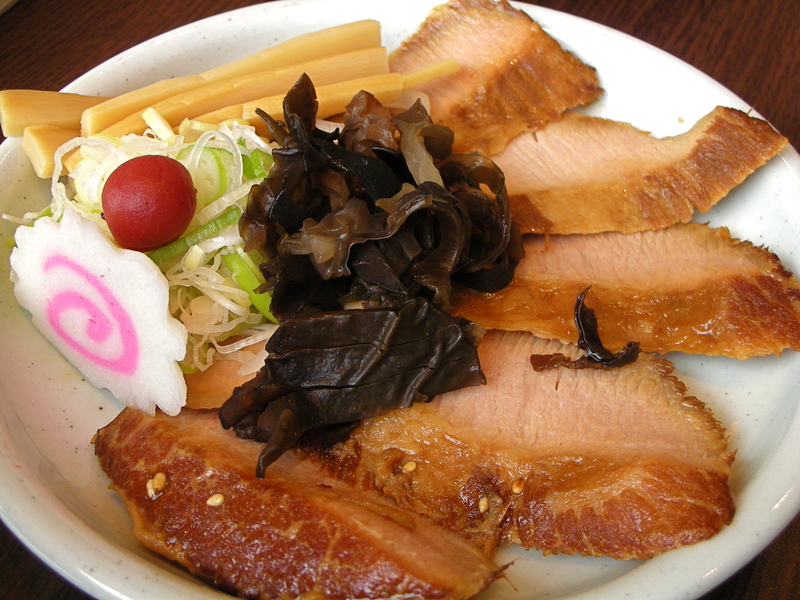 Diners often place additional orders for their thick torched chashu that is tender and fatty, with lovely charred bits at the side. The gyoza is really popular too; crispy on the outside and juicy on the inside. 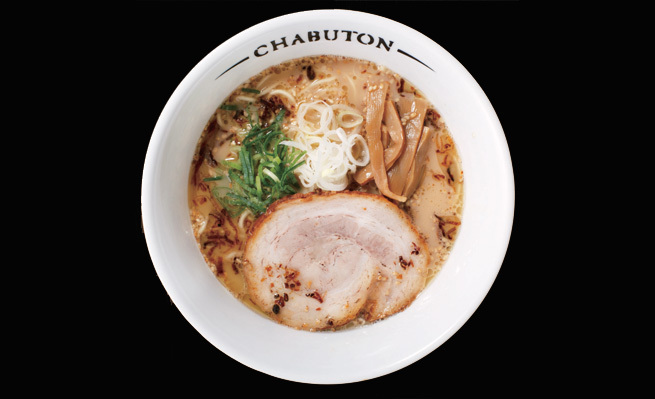 Famed for being the only Michelin-starred ramen restaurant in the world, Chabuton has seen mixed reviews from the public. The new Kurobuta Ramen was specially created by Chef Yasuji Morizumi, and is exclusive to Chabuton outlets in Singapore. The thick slab of black pork is braised for hours until it’s fork-tender. The broth has strong notes of ginger too, which is a change from the usual tonkotsu broth. Thinner noodles are used here as well. Serving a variety of different broths for their ramen, Ramen Bar Suzuki has a unique selection of ramen for you to choose from. There’s White Tonkotsu (pork broth), Jet Black (squid ink and garlic), Cardinal Red (spicy miso and pork), Emerald Green (basil and cheese), and Sakura Pink (prawn). There is also a tsukemen that is served with a fish-based broth. With so many choices, one of them is sure to pique your interest. 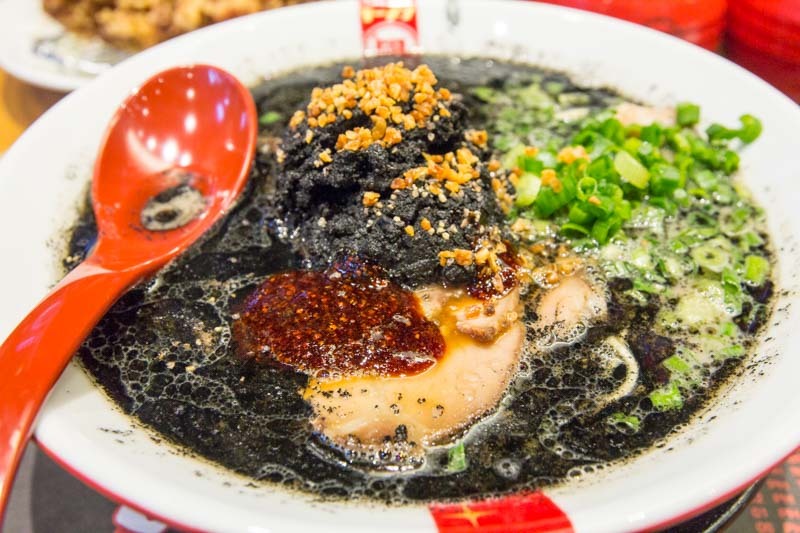 The house specialty is the Jet Black ramen, with robust flavours of garlic, and coloured with squid ink. Bonus for the free flow of side dishes like hardboiled eggs! 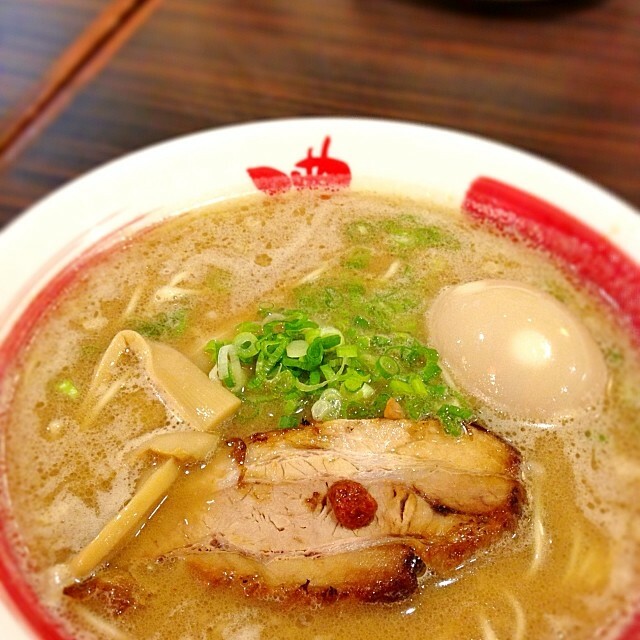 Two-time ramen champs in Japan, Ikkousha Hakata Ramen has a few outlets in Singapore. 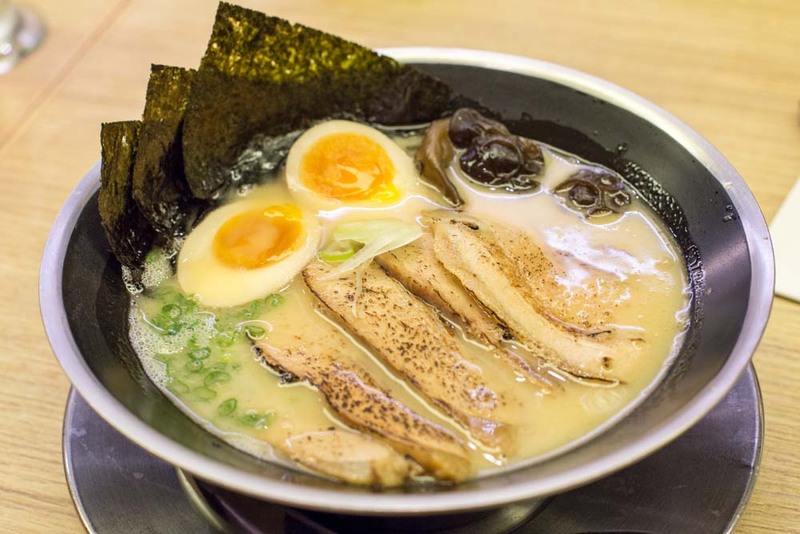 Their tonkotsu broths range from red to black, and even a special “God Fire” ramen for all you spice-loving Singaporeans. 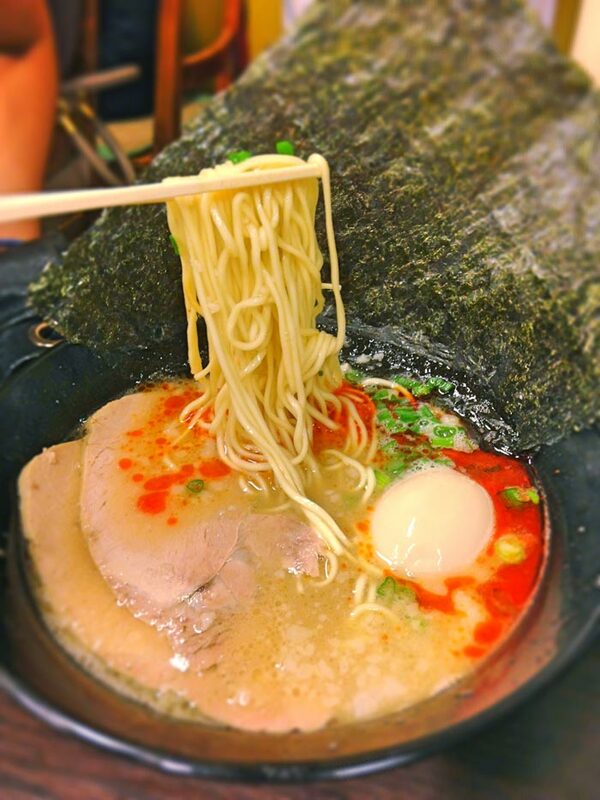 Each bowl of ramen is also fully customisable, right down to the thickness of the broth. Executed with care, it is no wonder it was awarded the Ultimate Ramen Champion twice! Another concept from the ridiculously popular Keisuke group, Keisuke Tori King specialises in chicken-based ramen, as the name suggests. A close competitor with Marutama Ramen for the title of best chicken ramen in town, what sets Keisuke Tori King apart is the huge chicken thigh that tops every bowl of ramen. The meaty chicken thigh is grilled to golden-brown perfection, with tender and flavourful meat. Chicken bones are boiled for hours and hours to achieve the thick flavour, accompanied with a slightly more eggy yellow noodle and molten soft-boiled eggs. The menu here at Tonkotsu King Matsuri is inspired by the flavours associated with the seasonal festivals in Japan. 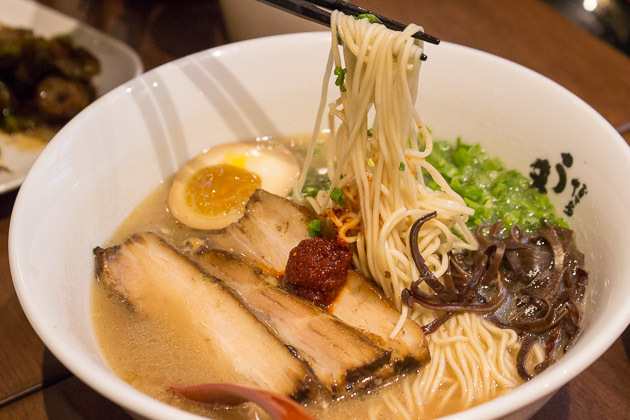 The amount of thought and detail for each creation is really praise-worthy, proving that ramen doesn’t have to be the same old tonkotsu broth. You should try the Tonkotsu Ramen Yurimatsuri ($18.90 for special combo), a miso-based ramen with a mini mountain of Parmesan cheese. The cheese shavings resemble the snowflakes of this Japanese snow festival, but it’s something for the more adventurous ramen lovers. Cheese fans will enjoy this interesting twist added to ramen, but you have to finish it fast before it turns into a creamy, sticky broth. Ramen Hitoyoshi gives you the tonkotsu fix that you need, especially on a rainy day. There are three flavours of ramen to choose from: original tonkotsu, garlic tonkotsu and spicy tonkotsu. Each flavour comes with its own unique taste that elevates the original tonkotsu broth. 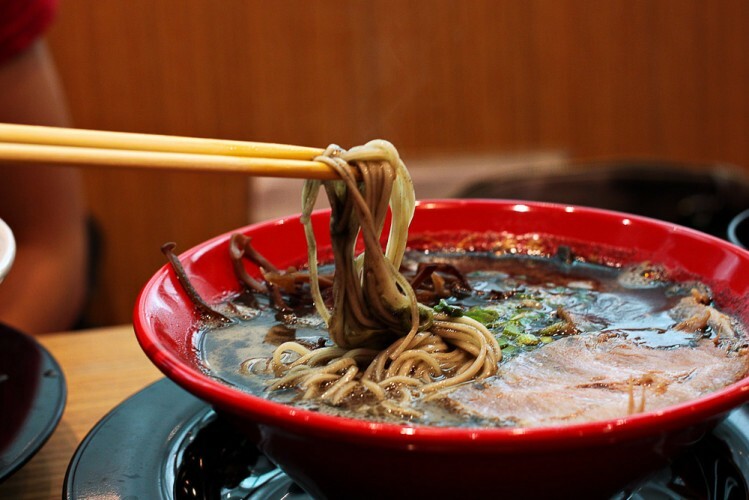 The broth is boiled for over eight hours, providing a rich and full-bodied flavour. 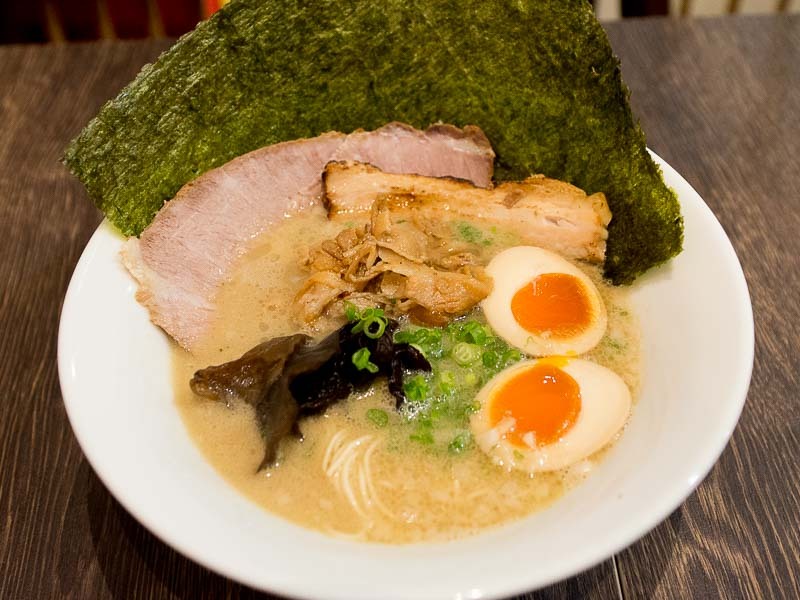 Enjoy the ramen with their Aburi Belly Chashu (S$1 per slice)! Since not every ramen store serves their tonkotsu ramen with Aburi Belly Chashu, this will be the highlight of your visit. The chashu is rich and melts in your mouth, and complements the noodles and broth. The Keisuke group brings us their ninth concept, with an unconventional ramen: Duck Ramen. Ginza Kamo Soba Kyudaime Keisuke offers six variations to its duck ramen, including clear broth, rich broth, miso base, spicy broth, tsukemen (dipping noodles) and mazesoba (dry ramen). Unlike other popular tonkotsu or miso ramen places, this place serves you something different yet exemplary. The duck ramen doesn’t just come with slices of duck, but the broth is also made by simmering duck in it for hours. The Hybrid Duck Broth Ramen Special – Clear Soup (S$19.90) was exceptionally good. I usually expect a clear broth to be much lighter in taste, but it was quite strong and full-bodied. 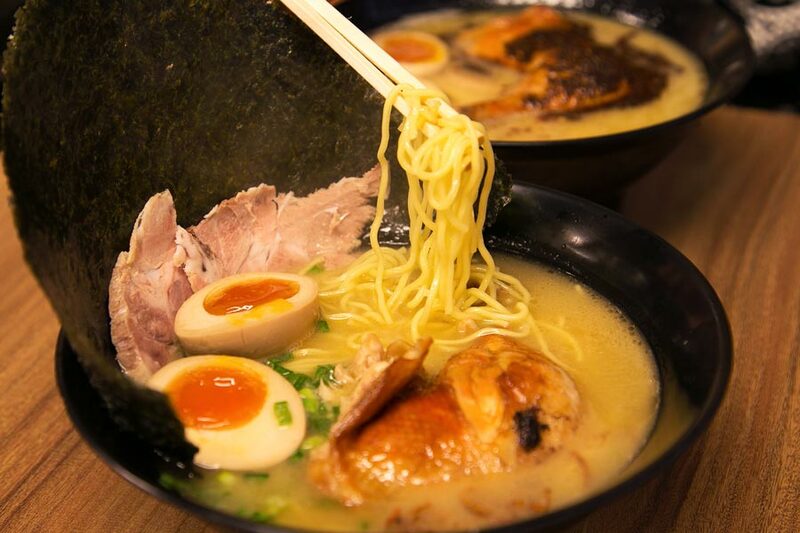 In addition to its broth, all bowls of ramen comes with slices of premium Irish Hybrid Duck, which you cannot miss!